Dishwasher Installation Services in Edmonton | J.W. 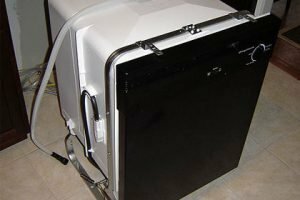 Brian Mechanical Ltd.
Is your old dishwasher making lots of noise or not working at all? JW Brian Mechanical installs all makes and models of dishwashers, residential and commercial at a reasonable price. We can either supply and install a dishwasher for you, or install one that you have bought, as well remove the old one to the eco centre.